We didn't start the fire… or did we? World of Warcraft fans, take note: Blizzard has released the second video in the Warbringers series, focusing on Horde Warchief Sylvanas Windrunner – and her actions in the animated short have fans divided. Look away now if you don't want spoilers. Warbringers is a new video series started by Blizzard as a promotion for the upcoming World of Warcraft: Battle for Azeroth expansion - which releases in just under two weeks. Each video in the three-part series focuses on a main hero or villain from the Battle for Azeroth expansion. Last week's video focused on Jaina Proudmoore, the former Lady of Theramore Isle and the most powerful human sorceress alive. This week we look at a much darker character. Back in March a datamine by fansite Wowhead revealed that the Teldrassil World Tree, AKA the home of the Night Elves, would be burned down by the Horde in the lead-up to the Battle for Azeroth expansion. However, we didn't know who the arsonist would be – until now. The animated short, Warbringers: Sylvanas, sees Sylvanas speaking to a wounded Night Elf as the Horde prepares to invade the Teldrassil. The conversation sparks a flashback of Sylvanas' death at the hands of Arthas, which ultimately transformed her into the Banshee Queen. When the flashback ends, we see the wounded Night Elf look on in horror as Sylvanas orders the burning of their home. The reaction from fans has been a mixed bag. Blizzard has previously said the Horde is "morally grey", but this act of genocide from Sylvanas seems pretty clear-cut evil. The World of Warcraft universe is divided into two groups, or 'factions': Horde and Alliance. Each playable race, apart from one, is aligned to a certain faction. The Horde is made up of misfits such as Orcs, Trolls and Goblins, while the Alliance pride themselves on justice and nobility, counting Humans, Gnomes and Night Elves among their ranks. But why have factions in the first place? Factions allow players to group up with allies to create guilds, take on quests to achieve different goals from their counterparts, and partake in PvP battles against the opposing faction. Sylvanas' actions have led players, particularly those who’ve pledged allegiance to the Horde, to express anger at being painted as the ‘bad guys’. Up until now, there has been no clear-cut 'good' or 'bad' side when it comes to factions. In addition, it looks likely that the much-loved Sylvanas will be the final boss in Battle for Azeroth. Others, however, say Sylvanas' turn to evil has been a long time coming. The World of Warcraft universe has often expanded into other media, including film and books. According to fans, the books paint her in a more tyrannical role than the games, describing her increasing paranoia and outlining her plans to attack the Teldrassil. The final short in the series, Warbringers: Azshara, will be revealed next week. 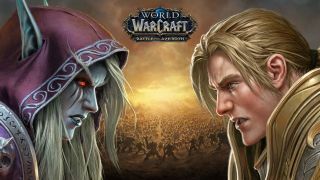 World of Warcraft: Battle for Azeroth is due for release on August 14 for Mac and PC.